Fog envelops a solitary tree. Thank you, Adrian. Lucky morning – I love this tree! It’s an American Elm, I think. I have a photo similar to this in my files. 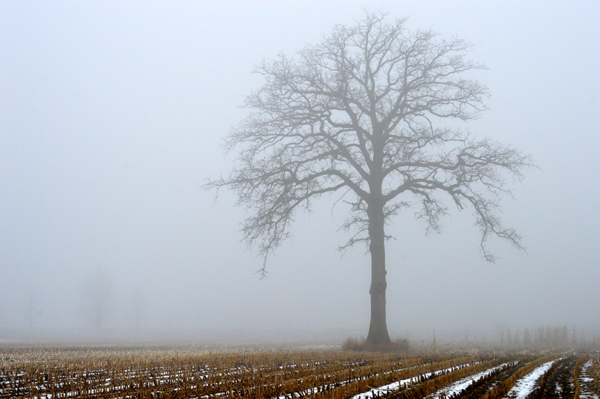 There’s no snow, but it has fog, furrows, and a solitary tree. I took it in Mississippi several years ago. There’s something compelling about views like this; your capture’s beautiful. Thanks, Linda! Maybe the solitary survivor appeal?